Pokemon Omega Ruby and Pokemon Alpha Sapphire, the HD remakes of the Ruby and Sapphire, reappeared during Nintendo's E3 presentation. Nintendo showed off the first gameplay trailer and provided some other crucial details on the two games. The Pokemon featured on the covers of Omega Ruby and Alpha Sapphire are Primal Groudon and Primal Kyogre. They're transformed versions of Groudon and Kyogre, the Legendaries central to Ruby and Sapphire. "These two extremely powerful Pokémon clashed in an epic battle that once sent Groudon into a long slumber within the magma beneath the planet’s crust and drove Kyogre into a deep sleep at the bottom of the ocean floor," Nintendo says. "The awesome transformation is a result of Primal Reversion, when Groudon and Kyogre reclaim their original power from nature’s energy and obtain even greater power than they already have." 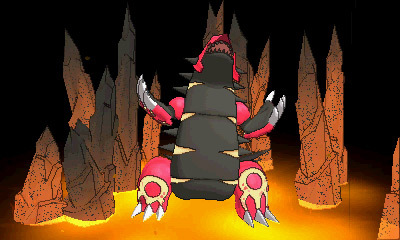 Primal Groudon is larger than his predecessor, with more powerful Fire-type moves. Its Ability and Attack have also gotten an upgrade. 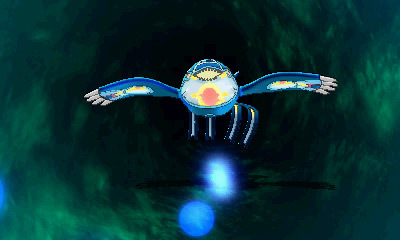 Primal Kyogre also grew dramatically thanks to his Primal Reversion. His Ability and Special Attack were also enhanced. The exact process of Primal Reversion is still unclear. Uncovering it could end up being a major part of Omega Ruby and Alpha Sapphire's plot. Today's press release from Nintendo suggests that there's some connection between Primal Reversion and Mega Evolution. 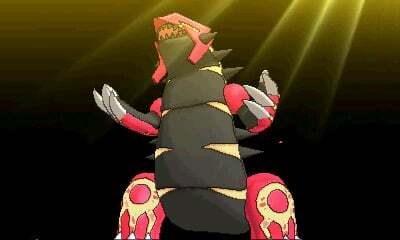 Mega Evolutions, introduced in Pokemon X and Y, are temporary transformations that take place in battle. "For Mega Evolution to take place, Trainers need a Key Stone to resonate with a Mega Stone held by a Pokémon during battle. Twenty-eight Mega Stones have been identified since they were introduced in Pokémon X and Pokémon Y, but it is said there are still more Mega Stones to be discovered in the Hoenn region." The transformation of Groudon and Kyogre into their larger form can be seen at the tail end of the latest trailer. You can also glimpse them in the screenshots below. Most of the gameplay footage in the trailer is devoted to showing other not-so-Legendary Pokemon, though. 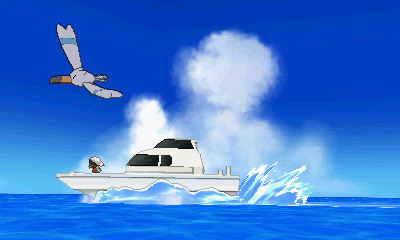 We also get to see the new bicycle that players will use to traverse the Hoenn region quickly. It's a much more substantial preview than the first gameplay video. 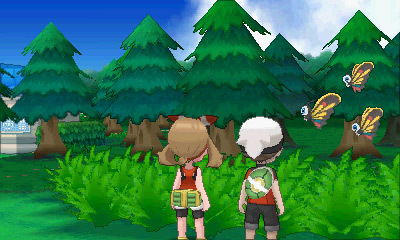 Pokemon Omega Ruby and Alpha Sapphire will launch on 3DS and 2DS on November 21st worldwide.